Last year I began to embrace the existence of the multiple short housesits which had been something of a bane of my existence previously. For a while, the constant moving, packing and unpacking and not staying in any one place for long was beginning to grate, but necessity being the mother of invention, I was beginning to agree with and even welcome the short, sharp, staccato bursts of residency. And so Upper Kedron came towards the start of a quite a few mini-housesits, not all in a row, and while I thoroughly enjoyed the company of all my charges, I stopped worrying about upping stumps quickly. Upper Kedron is a strange beast in so far as you’d reasonably expect it to sit cheek by jowl with Kedron. 15 kilometres separate the two suburbs, including a fair stretch of railway track and roads, and one sizable military barracks. Upper Kedron itself is on one of the many green fringes of the city sprawl. Zip off to the west and you hit the bush and the Samford Valley. It has that feel of being a goodly way out of the rat race, while only a reasonably short train ride from the terminus at Ferny Grove in to Central and Roma Street. My two companions were a friendly springer spaniel and a slightly aloof moggie who nevertheless rarely strayed far from home. With the days fairly blisteringly hot after about 10am, we soon got into a routine of going for a walk early-ish and late-ish, with a good deal of avoiding the sun in the middle. We had a couple of mildly successful visits to the huge enclosed dog park that was virtually over the back fence, but Chester has a little of the alpha male about him, so after the first day we ditched that idea in favour of a regular stroll to the shops where we became semi-regulars at the Poshamocha Café at Ferny Grove shops. The owner in particular took quite a shine to Chester and would always stop to have a chat while lavishing Chester with attention. Dexter the cat spent his days hanging out in the backyard, or curling up a short distance away from where Chester and I were watching the cricket or football or whatever else took our fancy. It was a pretty cruisey week. 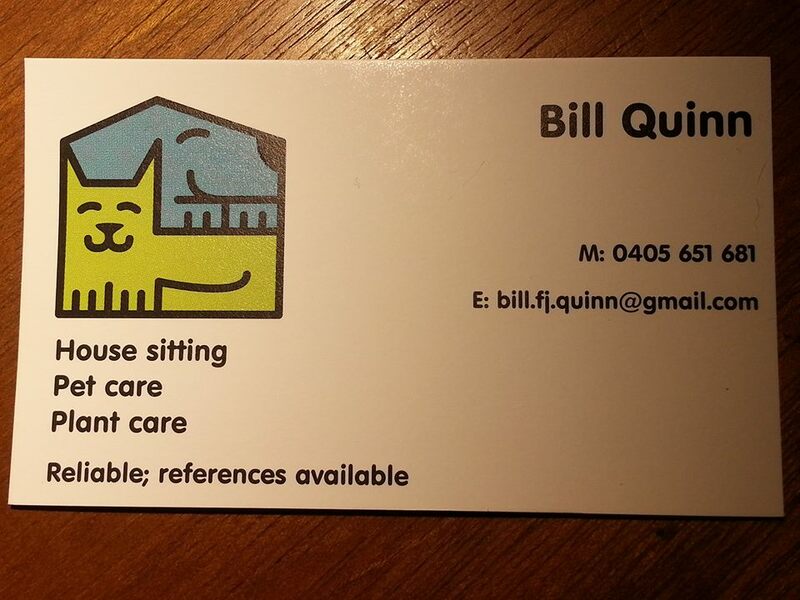 Upon meeting Bill we knew our house and pets were in good hands. When we arrived home Chester and Dexter were happy, and had obviously been cared for. The house was in good order too.